Mold remediation is a serious issue to be having in your home. Unfortunately, the climate present in Maryland allows for the state to have a lot of problems with moisture in the foundation; eventually leading to basement and crawlspace flooding if left untreated. While you may imagine houses in rural areas being the most exposed to these problems, urban areas of the state experience just as many issues. Silver Springs, Maryland is one of the most populated areas in the state, having over 75,000 residents. The area has recently gone through a renaissance of sorts, building up the community with major retail, residential, and office developments. Therefore, this heavily urbanized place is also one of the major business hubs in the state, and lies to the north of Washington D.C. Even in the attempts to modernize the community, water and moisture can enter unwanted parts of buildings, and cause the development of mold. 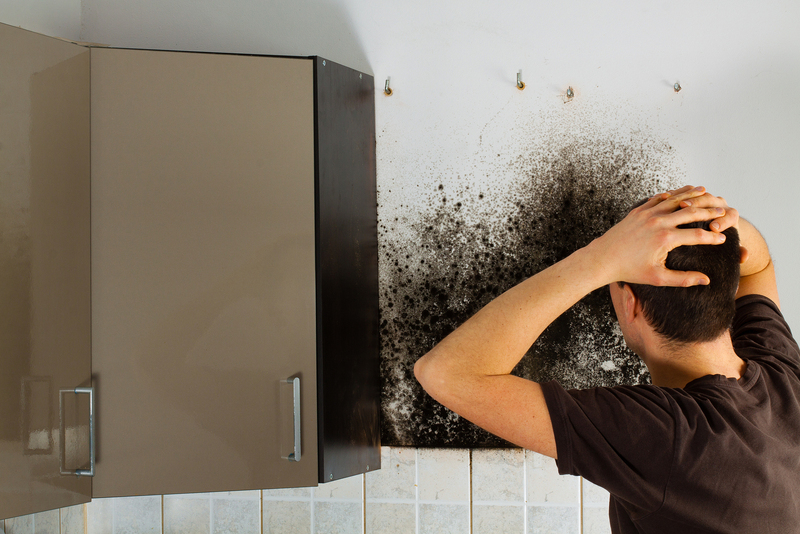 If left untreated, mold can put you and your family at risk of health problems, as well as damage to the value of your property. It’s important that you contact a mold remediation contractor to examine your mold problem and help you eliminate it as soon as possible. Mold can be found anywhere you look, and can grow on almost every substance if moisture is present in the area. Mold is a component of the natural environment. When outdoors, mold plays a role in breaking down the dead organic matter left over by dead trees and plants. It reproduces by means of spores, which are invisible to the naked eye, and are carried by the wind. If a spore lands on an area that is suitable for life, it will begin to grow. Many common building materials are capable of sustaining mold growth, and it is directly related to water or moisture found in a home. This can be caused by incomplete drying of the floor materials, flooding, and condensation. Hiring a qualified mold remediation contractor is a much safer and more effective approach than trying to do it yourself. These contractors will remove mold in a variety of ways and methods, depending on the size and complexity of the mold outbreak. With that being said, the cleanup of mold usually follows these four steps. Firstly, a mold remediation contractor will repair the water problem, identifying the source of moisture and eliminating it once and for all. Secondly, the mold remediation contractor will isolate the contaminated area, shutting doors and vents to prevent the further spread of spores inside your home. Thirdly, the mold remediation contractor will remove, clean, and dry all items that were affected by the mold. The contractor will ensure that the whole area and your affected personal possessions are completely dry, so that no other problems will arise. Lastly, the mold remediation contractor will replace and repair any decayed materials that were severely damaged by the mold. If you notice any type of mold growth in your home, treat it with caution and make sure to schedule a time for its removal. The purpose of remediation is to clean contaminated materials and areas so that the mold can’t spread to other areas of the home. As mentioned before, the state of Maryland has a climate that is high in humidity and extremely warm during the summer months. Mold that has been killed and treated may re-appear if moisture is able to enter your home once more. Luckily, a mold remediation contractor will identify the problems with moisture, and will know exactly how to combat these problems in your Silver Spring building or home.